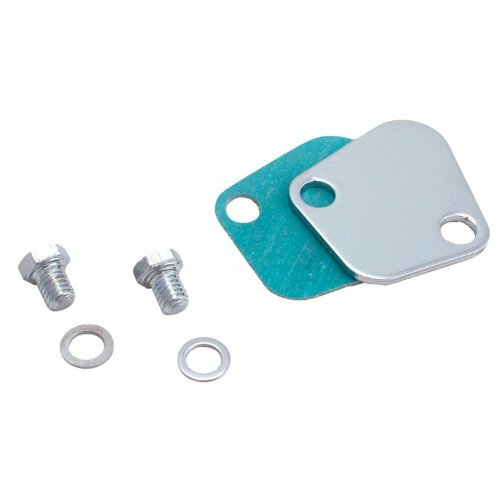 Triple chrome plated plate, bolts and washers with gasket. 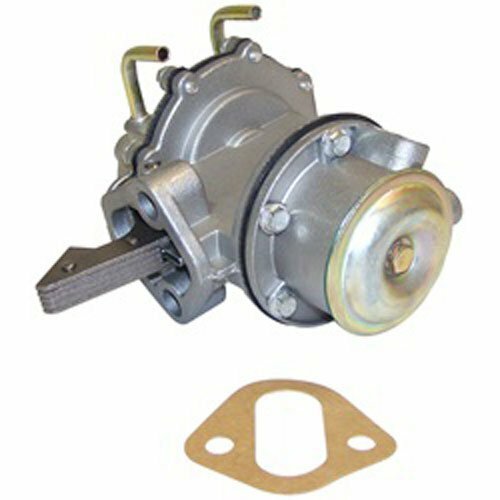 This is a very common fuel pump pattern, so this plate works on a wide variety of engines. Aeromotive Inc. is a true high performance aftermarket manufacturer specializing in fuel delivery and fuel delivery components. 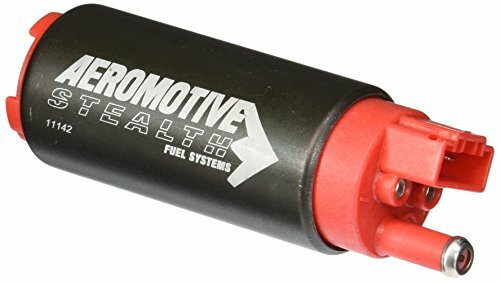 Utilizing aerospace tolerances and procedures, three generations of track experience, and a meticulous approach to engineering, Aeromotive Fuel Systems has become the absolute pinnacle of performance fuel delivery. Can be used with the 2 1/2" T-bolt clamp. Aeromotive T-bolt clamps are built from rugged stainless steel and will keep your fuel filter in position under all driving conditions. 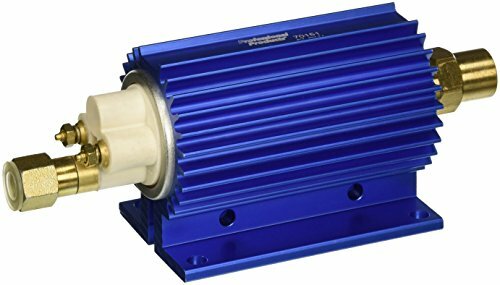 They have a natural finish and use a special threaded T-bolt that allows for a tight connection that will not loosen over time. 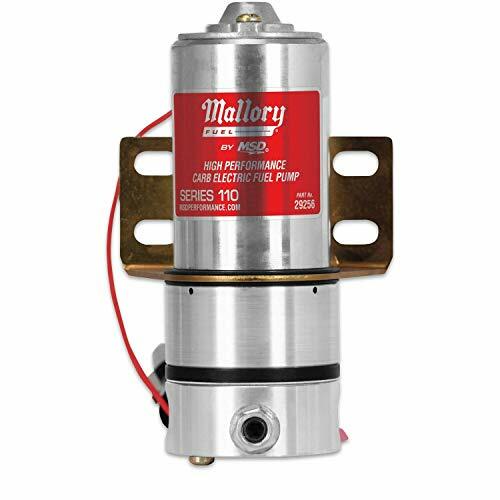 Mallory Pro Comp Electric Fuel Pumps deliver 110 gallons per hour and are perfect for carbureted gas high-performance street and race applications. 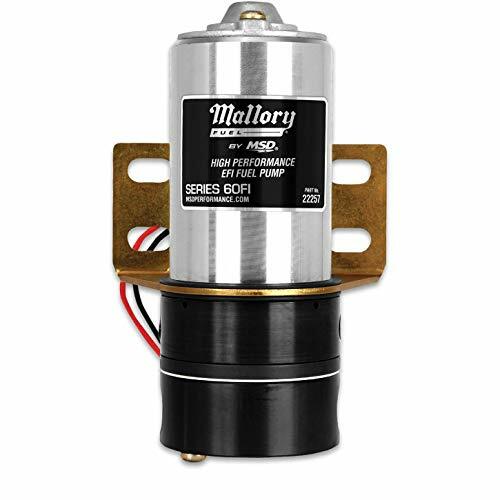 Powered by a permanent-magnet 12-volt electric motor, these low-pressure, high-volume pumps are factory-preset at 7 PSI and feature a quiet, high-efficiency gerotor design that provides stable output and years of trouble-free service. Fully assembled and ready to install. Features an eight-blade impeller. Dimensions are same as stock cast iron version. Mopar parts and accessories are engineered and built specifically for your vehicle providing the precise fit, finish and quality you can always expect from Mopar to keep your vehicle looking and running its best. The Professional Products pumps are similar in physical size and appearance to Walbro or Airtex pumps with one very important difference. Our pumps have 1/4-NPT pipe threads on both the inlet and outlet port which allows users the flexibility of a wide range of fuel line connection fittings. If you want to connect to a 3/8" hose, use Professional Products fitting #10244. 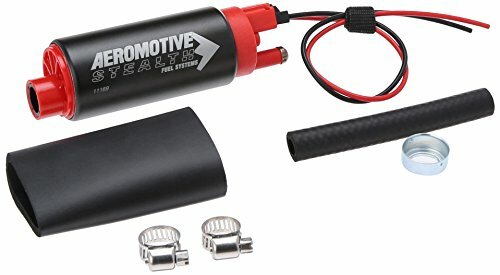 To connect to a -6AN hose end, use Professional Products adapter fitting #15242. See horsepower ratings below to select the proper pump for your particular installation. All three pumps operate at 45 PSI of fuel pressure. 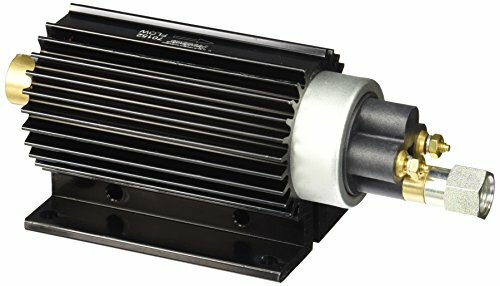 They come with an extruded aluminum mounting clamp which also acts as a heat sink. The aluminum mounting housing for the 255 l/h pump is anodized black for quick visual identification. Rotary hand pump with cast iron rotor for fuel. This pump fits a 2" NPT bung. UL listed, Includes a 3/4" x 8ft Buna-N hose, metal nozzle and adjustable suction pipe. Great for Kerosene, E15, Diesel fuel, Bio up to 20%, medium oil up to 30 W Hydraulic fluid. Warranty: 2 year limited warranty agains mfg defects. The Professional Products pumps are similar in physical size and appearance to Walbro or Airtex pumps with one very important difference. 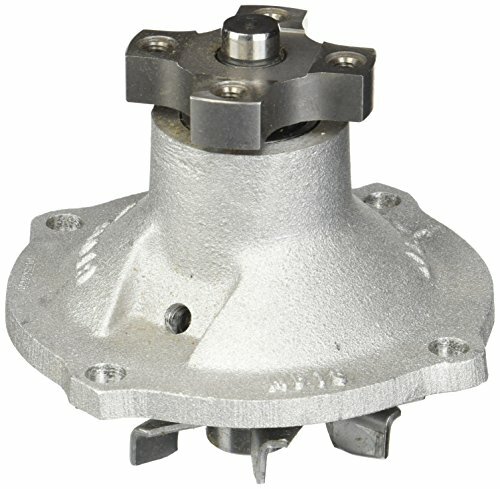 Our pumps have 1/4-NPT pipe threads on both the inlet and outlet port which allows users the flexibility of a wide range of fuel line connection fittings. If you want to connect to a 3/8" hose, use Professional Products fitting #10244. 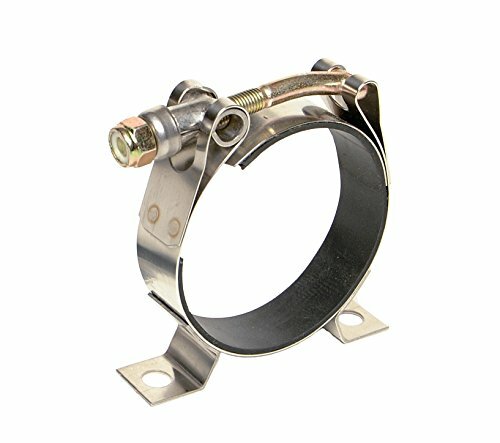 To connect to a -6AN hose end, use Professional Products adapter fitting #15242. See horsepower ratings below to select the proper pump for your particular installation. All three pumps operate at 45 PSI of fuel pressure. They come with an extruded aluminum mounting clamp which also acts as a heat sink. The aluminum mounting housing for the 220 l/h pump is anodized red for quick visual identification. 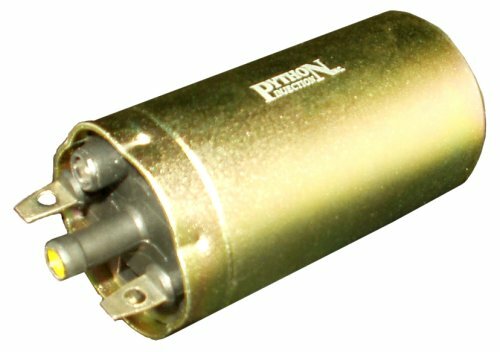 Python Injection New Replacement Fuel Pumps are designed to create optimum pressure to ensure efficient fuel flow. They are made from high quality material that ensures long lasting durability. These fuel pumps test decibel level to assure minimum emission of noise. They are backed by a one year warranty. 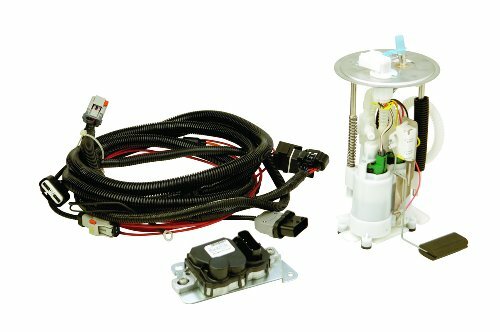 Fuel Pump ElectricComp Pump Series 60FIComp Pump Series 60FI; High Performance EFI; Delivers 60+ psi;FEATURES:Quiet High Efficiency Design for Stable OutputThe ACCEL Performance Group is the only stop you need to make for all of your automotive performance needs! We are a manufacturer, not just a re-distributor of products. We conceptualize, develop, manufacture and market our products in our own facilities, where actual enthusiasts are involved in the process first-hand. Our alliances with proven top engine builders and performance product development specialists have allowed us to offer the most high-tech products available. With a few diversified brands in our family, we offer a wide spectrum of race-proven products to make your car look better and go faster. From ignition products to gaskets, suspension, clutches and everything in between, we've got your performance needs covered. What sets us apart as a company in the automotive industry? Many things come to mind, but most importantly is our knowledgeable team of employees. They are qualified and dedicated professionals who are experts in the automotive industry, and most are racers and enthusiasts themselves. People with first-hand interest and knowledge of this industry, who create and apply new concepts based not only on research and numbers, but on personal experience and hands-on know-how. Our staff of enthusiasts applies their knowledge to product engineering, research and development, product management, and marketing services. Members of our technical service group have an average tenure exceeding fifteen years. That's not just dedication to a career, that's commitment to something they truly believe in. 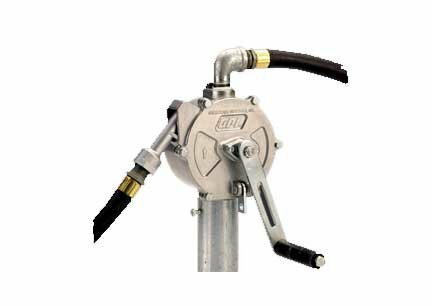 This Steel Core self-priming siphon transfer pump works with low-viscosity fluid to empty or fill reservoirs and tanks. The multi use pump is Idea for changing oil, siphoning gas and great for pumping liquid from one container to another. 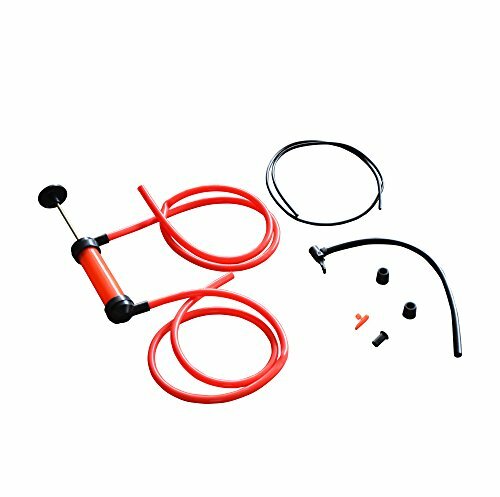 The self priming siphon transfer pump can be used as an air pump for your sporting equipment and bike tires and the inflation nozzle is included. 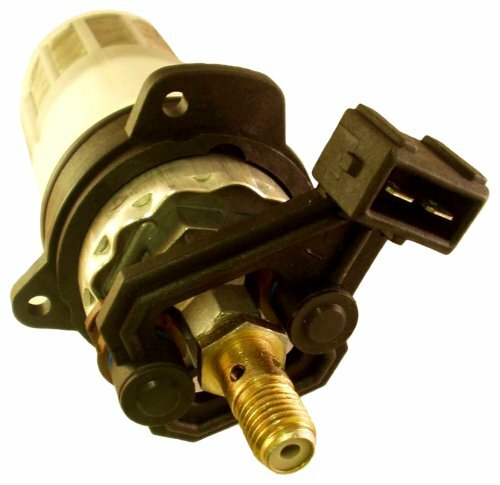 A1 Cardone Remanufactured Fuel Injectors provide an alternative plug and play solution to fuel delivery for diesel applications. All units are flow tested and balanced and replaced with new O-rings and gaskets. Each unit retains OEM duty cycle and pulse width ensuring reliable performance. All units are built to meet or exceed OEM performance, providing a quality product both you and your vehicle can rely on.